The Acrypol+ Roof Coating Waterproof System is an excellent long term solution for any and all waterproofing problems. 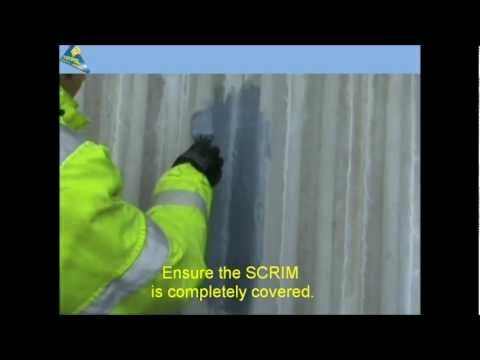 Regardless of whether you’re working on a domestic, commercial or industrial property that has a failed flat roof, the Acrypol+ Roof Coating Waterproof System will be your perfect option for fixing it. The Acrypol+ Roof Coating Waterproof System is applied by brush as a semi liquid paste. Once it has fully dried, it provides a flexible seamless extra tough overlay. You can apply the Acrypol+ Roof Coating Waterproof System even during damp weather conditions without compromising its efficiency. An ideal choice for day to day patching repairs and general property maintenance, the Acrypol 20 kg Roof Coating Waterproof System will only need to be applied in one layer for perfect all weather protection. Acrypol – full trading name Acrypol Products Limited – is a market leading manufacturer of liquid cold applied and slip resistant waterproof coatings. Known for their own specialist contractors division, Acrypol provide unrivalled standards of quality to their loyal customer base. Their comprehensive range guarantees that you will find the right product no matter how complex your project may be. Each Acrypol 20kg product is proven to prevent water leakage and protect against any and all weather elements – the Acrypol+ Roof Coating Waterproof System is no exception to this. Long lasting results are guaranteed when choosing this high quality coating solution. You can sit back and relax when you choose the Acrypol+ Roof Coating Waterproof System for your project because you’ll know that the product is cost efficient, long lasting, and manufactured by an established industry expert. Depending on the product, Acrypol 20kg offers service warranties of up to 15 years to put their clients’ mind at ease and prove that they have the utmost confidence in their work. The Acrypol+ Roof Coating Waterproof System is available in three different colours – these are solar white, medium grey, and black. Weight wise, you can choose between the Acrypol 20 kg and Acrypol 5 kg.